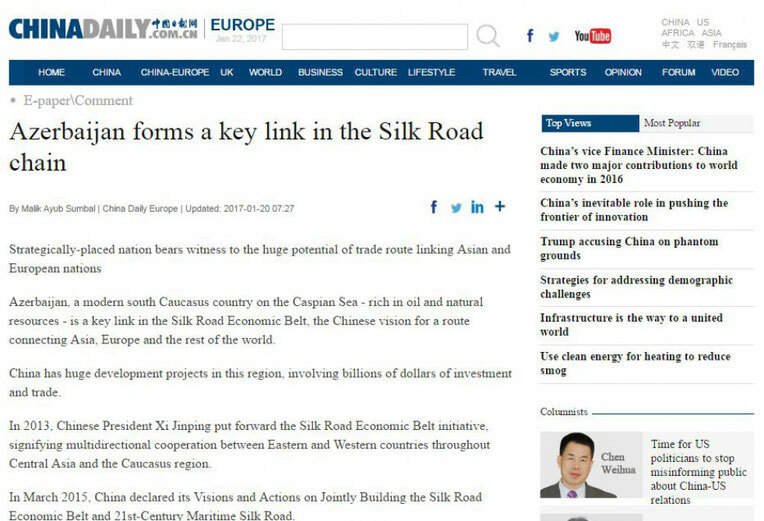 China Daily newspaper has published an article headlined “Azerbaijan forms a key link in the Silk Road chain”. “In 2013, Chinese President Xi Jinping put forward the Silk Road Economic Belt initiative, signifying multidirectional cooperation between Eastern and Western countries throughout Central Asia and the Caucasus region. In March 2015, China declared its Visions and Actions on Jointly Building the Silk Road Economic Belt and 21st-Century Maritime Silk Road. “The Silk Road Economic Belt comprises 6 corridors which connect five central Asian countries, Iran and the Persian Gulf region, Transcaucasia, Turkey and the Saudi Arabian peninsula,” says the article. “China has been promoting the interconnection routes to the west of the Caspian Sea. Both China and Azerbaijan have strong links in the construction of railway tracks for transporting oil and gas. The Baku-Tbilisi-Ceyhan pipeline is a major initiative of Azerbaijan to supply oil and gas to Georgia and countries in Europe. 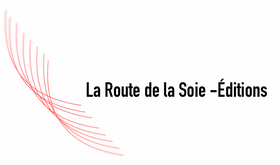 The Baku-Tbilisi-Erzurum Pipeline is another project supplying oil and gas to satisfy the demands of Europe. “Relations between China and Azerbaijan are growing fast and Azerbaijan has great potential to become a valuable partner in the Silk Road project - one of the great initiatives of the 21th century,” the article says.